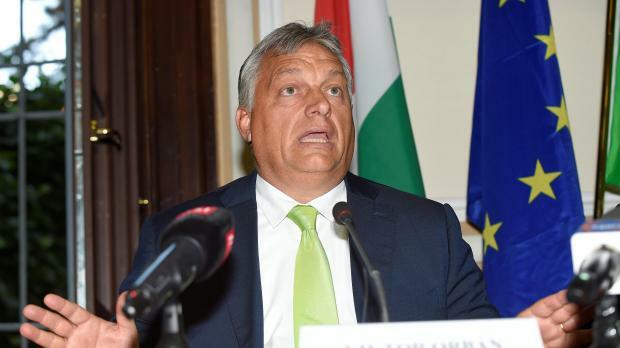 It is unclear however whether the 750-strong legislature can muster the two-thirds majority needed to pass the motion finding that Hungary has persistently breached the EU core values under Orban. "Do you really believe that any country...can survive on its own, without help, without the solidarity and cooperation of other countries?" he told the lawmakers. "There can be no future for Europe like that." Italy's anti-immigration Interior Minister Matteo Salvini, whose League party has six lawmakers in the European body, said separately: "We will vote in defence of Orban." Eventually, it would be up to the other 27 EU states to decide on what to do with Hungary should the parliament's first-ever such vote pass. They would need unanimity to sanction Orban, making any tough punishement highly unlikely.